Digital cameras have been in the market for more than two decades. They have always been a good choice in the hands of the consumer market. Choosing a digital camera can be as hard as capturing a good quality still out of it. For a proper digital camera, you might need to acquire a decent amount of knowledge in this regard as they are many new features that not every other user know. For a digital camera to be really efficient, we might check its video and picture taking capabilities along with how this camera performs under low and extreme lighted situations. Every camera has its pros and cons and its pricing lies somewhere around where its features make it stand. For a mediocre choice, we have listed down some of the best choices in this regard, in the market. Have a look at them and decide which one you like. 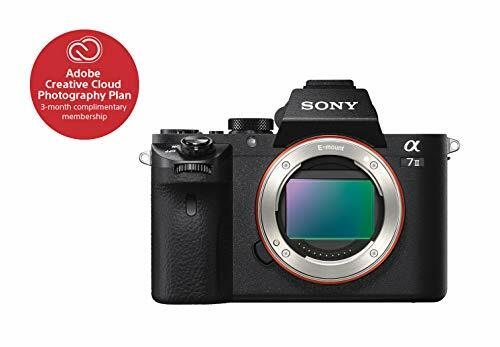 Sony Alpha series is known to produce flagship cameras from time to time and they are quite known to everybody for their stability capabilities. 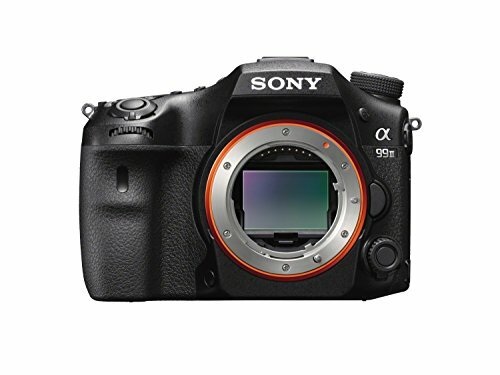 This Sony Alpha a99 II is a camera that is a combination of the power of a full frame 42.2 Megapixels CMOS sensor and one of the best image processors in the market. This professional combination also yields some outstanding images. These images are targeted at high ISO settings up to 102400. The camera is also capable of recording down Ultra HD 4K video. 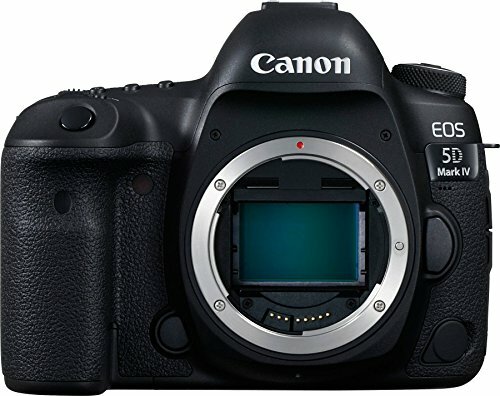 There a bunch of settings that are not available in many of the best DSLR and mirrorless cameras. So buying a Sony Alpha camera won’t disappoint you in the coming future. The 3 inches LCD also helps you decide the settings and help in capturing while rotating the screen. The Full Autofocus capability which is provided through the hybrid phase detection AF system proves down well under extreme conditions like low light and extremely bright conditions. People are often amazed at seeing both speed and resolution coexist. Well, Nikon D850 is no less in this regard. 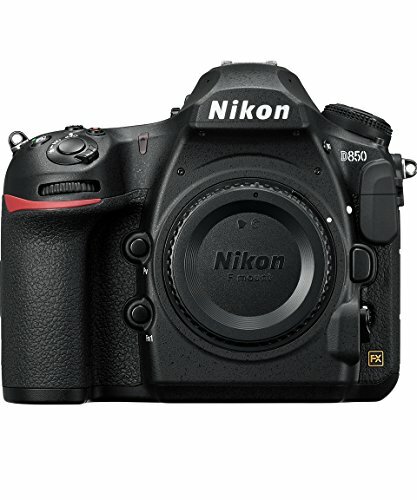 With time-lapse recording and apt movie, the Nikon D850 is a full package that is efficient in every camera technology that you could name. The camera is fully distinguishable because of its recorded imagery which is efficiently detailed. While working in low-light situations, the camera outperforms others as its ISO sensitivity reaches 102400. The camera is also equipped with advanced processors that are capable of recording video up to the resolution of 2160p at higher frames. Working in situations which are filled with light is quite easy when capturing with D850 because of the low ISO setting of 32. The camera is no less in capturing the continuous shots because of its high speed capturing rate of 7 fps. While checking off each and every required technology in image making capabilities, the camera is not just limited to high-resolution imagery capturing but also as a high tech camera for video recording. Nikon Z7, the perfectionist camera, is the next step in Nikon’s journey to utmost photography with the revolutionary Z system. The camera is a mirrorless camera with the flagship features that are not present in many of the best cameras by Canon and Sony. Leaving behind other cameras in the same price point by a great margin, the new Z7 is a mirrorless camera with the high-resolution FX-format that is going to introduce the Z mount system in the camera system that is coming further in the market. With the native sensitivity of 64, the camera is capable of recording good stills and video at highlighted situations. For low-light situations, the camera also performs legendary because of the ISO of 25600. 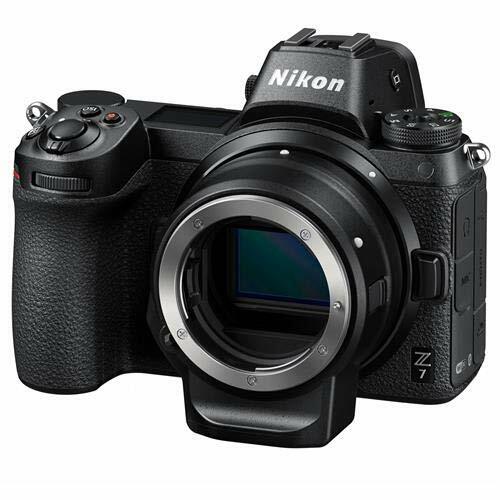 Comparing with other mirrorless camera counterparts, the Nikon Z7 is much more compact. It features a lighter and slimmer build. The camera is a great package for the one user that is looking for some specific types of imagery along with some detailed close-ups of the sports shots, time lapses, high-speed motion shots, and high-quality video capture.Taking their camera’s line to the next level, Sony has introduced their full frame camera named Alpha a7II with the hope to capture both photo stills and videos at some extraordinary quality along with multiple frames. The 24.3-megapixel sensor enables high-resolution images and low light effectiveness with its standard ISO sensitivity range of 100-25600. The BIONZ X image processor offers fast processing and operation speeds and front-end LSI (large-scale integration) improves the early stages of image processing resulting in more natural details and richer tones. And, 16-bit image processing and 14-bit RAW output preserve the detail provided by the sensor. So you won’t be worrying much about the RAW and the JPEG video files as long as you are using the Sony Alpha a7II. With the high bit rate recording system, the video capturing formats vary from 60 frames to 24 frames per second. The user can acquire the control by his or her own needs. 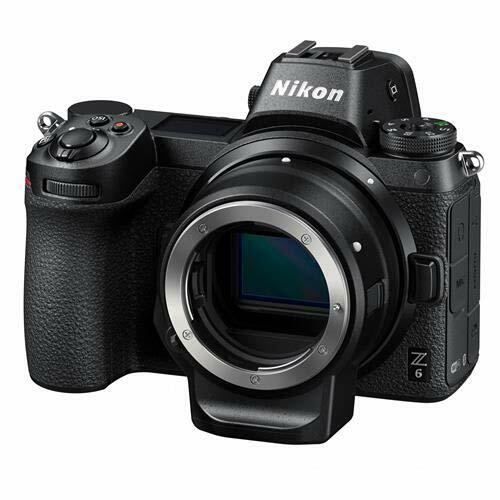 Part of Nikon’s next step in their imaging journey, the Z 6 Mirrorless Camera is positioned as the “all-rounder” within the new Z System. The Z7 and Z6 class of cameras have revealed many new technologies that have been gathered to produce an extra class of quality that is not achievable with other higher quality cameras.The new Z6 is the first in the series with the CMOS sensor having the capabilities to acquire decent stills at 24.5 megapixels with the EXPEED 6 engine which processes the pictures at high speed while capturing at low-light situations at high ISO rating of 51200 and high and extreme lighted situations at a low ISO of 100. The camera uses a focus system that can focus on 9/10 of the picture area by using 273 points. The camera is not any less in video recording as it can capture a decent amount of 4K video at 30 frames per second which are normal in every medium to the high-end camera. If the user wants a subtle camera which is quite enhanced in its video and photographic capabilities, then the Nikon Z6 would be the ideal choice for him. The camera features outstanding image taking capabilities and is an affordable option in capturing the 4K video content at a higher set of frames. Canon, continuing their work on some of the most powerful workhouse cameras, has released this camera that contains some of the enhanced photography and videography features. Both of these features make it quite an extraordinary camera in this perspective. The extra-large CMOS sensor goes up to 30 megapixels and the ISO sensitivity leaves for a number of 102400. The ISO also goes as low as 50 which proves the point that it is a choice for extreme lighted situations. The camera offers some splendid stills of suns and sunsets. The camera is also equipped with the latest features such as Wi-Fi and NFC. The image processor in this camera can handle 7 frames per second and utilizes a 150,000 pixels metering sensor to correctly evaluate the scene. 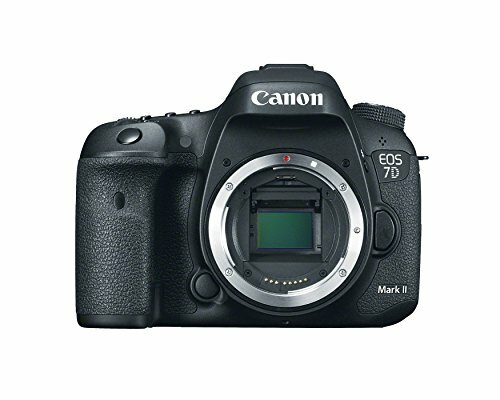 An already very capable imaging machine, the EOS 7D Mark II DSLR Camera Body with W-E1 Wi-Fi Adapter from Canon takes the camera’s capabilities up a notch with the inclusion of an SD-card-sized item that adds Wi-Fi connectivity to the camera. But the capabilities are not only limited to these features. The camera alone goes doing the work that is normally not possible in the majority of the same line pars. The camera can shoot continuous videos at a rate of 10 fps. The low-light sensitivity can go up to an ISO 16000 and further expandable to ISO 51200. Along with the superb image quality, the camera goes along the video capturing line just fine. By capturing 1080p video at 60 frames per second, the camera reaches other cameras capabilities in video recording to a good approach. In terms of image capturing, the autofocus and the CMOS sensor of 20.2 megapixels serve a handful of features, enough for this operation. Do you want a multimedia approach to your photography? 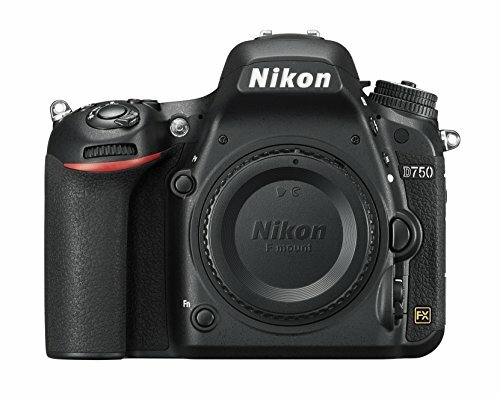 Nikon D750 is a perfect deal for you. The camera is advanced in capturing still imagery and video recording. The camera is equipped with a 24 megapixels CMOS and an image processor that can capture high-resolution imagery with some of the smoothest combinations of colors. The camera comes with a 3 inch LCD screen that displays each and every camera movement with high speed and in some of the brightest colors. Unlike other working situation cameras that are versatile in wide angles settings, this Nikon camera is designed to withstand some of the complex situations where low and extreme lighting makes it difficult for the camera to capture an extraordinary image. Observing price and performance, the camera is the perfect go for all the moments that are required to be captured whether it’s the landscape or some of the ideal passport sized photographs. 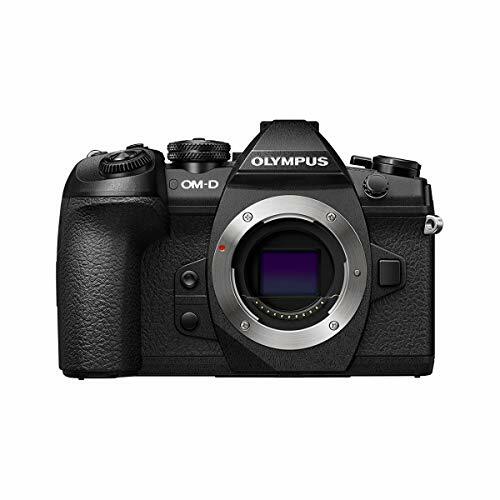 The Olympus is quite known for the battery and durability. The Mark II comes with a micro four-thirds camera that is capable of basic shooting with the help of a 35mm lens. For longer shooting times, there is a power battery grip included for improved ergonomics. The camera is a total workhorse as it contains 20.4 megapixels live MOS sensor with autofocus and 4K ultra HD video recording capabilities. The fast 60 fps continuous shooting rate makes it quite an extraordinary camera for beginner photographers who are not much demanding. For those users, who utilize the camera to its full potential, this is the ideal deal for them. 4K timelapse sequences are also captured by this camera. An ISO of 25600 is achievable under this utilization. The overall design of the camera is also durable with its magnesium allow build. The camera is weather resistant and can work in many harsh environments. Do you want to step into a full frame game with a Canon camera? Mark II is the perfect choice for you, offering high performance and making full-frame imaging accessible. Fully working with the 26.2 Megapixels CMOS sensor allows the user to fully process the image in detail. The high sensitivity of the ISO reaches up to 102400. The camera captured Full HD video at 60 frames per second. An LCD screen is also available to help the user. The continuous speed shooting rate goes up to 6.5 frames per second. The low ISO setting could be used to take like 50. This marks a significant improvement over its predecessor and will result in the faster acquisition of your subject. When using Live View and recording video, you can now use Dual Pixel CMOS AF on the actual imaging sensor. This offers wide coverage of phase-detection autofocus for faster and more accurate focusing in these modes. 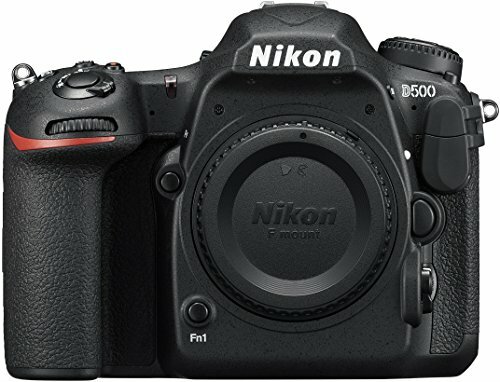 D500 is a more compact and sleek design from Nikon that is the flagship model with the Nikon’s DX format. 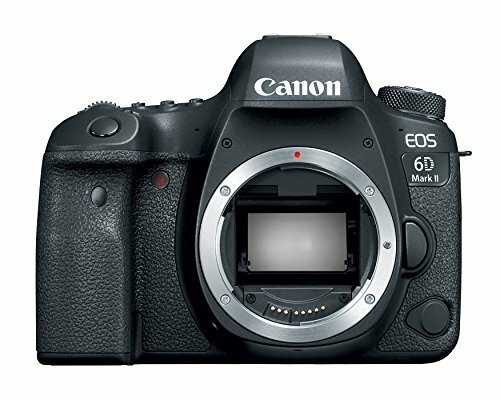 D500 is characterized by its robust physical construction, apt imaging capabilities, and of course, a more compact, sleek form factor than its FX brethren. Revolving around a 20.9MP CMOS sensor and EXPEED 5 image processor, this camera appeals to both still and video shooters with its fast 10 fps continuous shooting rate and 4K UHD video recording abilities. The camera can record 4K video recording at 30 frames per second along with some lowered down frames at 24 and 15 frames per second too. The Full HD video recording can reach up to 60 frames per second with this camera. There a total of 3 image options available for the video recording. One is the simple 4K recording, one of 1.3x recording which features the movie image area while cropping 1.3x portion and the last one is DX-based movie image. 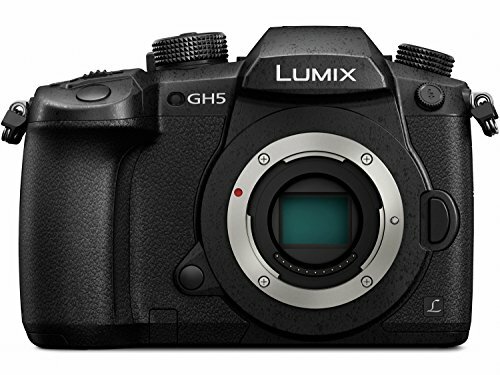 Redesigned and filled with the upgraded feature, the Lumix DC-GH5 mirrorless camera is the best choice from the Panasonic line. The camera provides some extraordinary skills for shooters that are looking for single compact cameras. The Lumix GH5 comes with the video recording feature of 4K with 60 frames per second. This is not quite the feature that you would go for in tight budget but the GH5 offers you one. The ISO sensitivity goes up to 25600 which makes the camera really suitable for use in some low light scenarios. The Full HD video recording at 180 frames per second makes it an extraordinary video recording camera. There is no camera in the current market in this budget that can provide you with this enhanced video recording feature. The autofocus system during video and photo capturing is advanced and on par with other cameras in the market. There is also an OLED viewfinder as well that helps the photographer is deciding the best view for the camera. 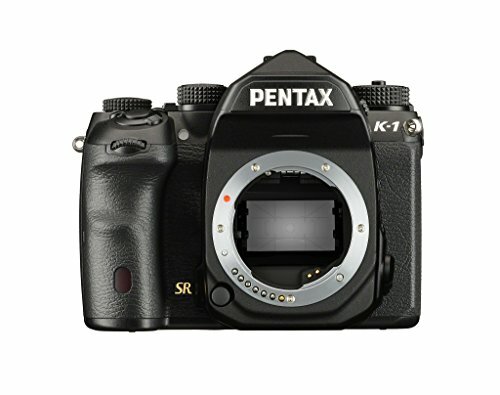 K-1 is a landmark release from the Pentax Company which supports a full frame camera sensor featuring 36.4 Megapixels. The advanced image processing engine produces some extraordinary images with low levels of noise. The camera has been praised very much by the public because of some of the extraordinary features that only some cameras contain. The ISO sensitivity can raise up to 204800. The double-A filter simulator provides some of the best sharp results that no other company’s camera can match. The 5-axis reduction which is often found in many modern-day cameras provides extra stability during video capturing. This is the only factor that differentiates the video recording in the latest phones and cameras. As for the video recording, the camera isn’t capable to record a 4K Ultra HD video but can record 1080 Full HD video at about 30 and 60 frames per second. The focus system that runs during the video recording is quite enhanced as compared to the other cameras.